A few days back, a friend of mine, Amirah wanted to buy some fruits at Chow Kit. I want it also and plus a pair of slacks. So, we went there together and in the middle of it she mention that Sogo was having this sale. 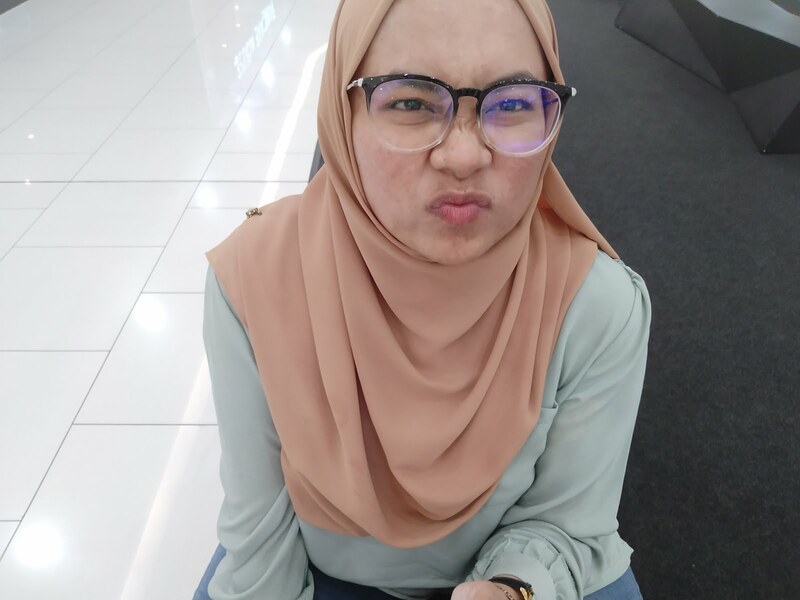 She always his wanted to buy a nice handbag for her mom and I just want to jalan-jalan there and then somehow we ended up in a taxi for Sogo. Well,Sogo was having sale, the clack maybe cheaper and better there than in UO Supermarket at Chow Kit. To be frank, it wasn't that far away actually, about 5 minutes journey including a little traffic jam because of the traffic light. Well, we would never took a picture of a mall. But amazingly the sale wasn't as cheap as we thought. We ended up buying no bags and head for the supermarket. I didn't notice that Sogo have a mall until that day! They even have Manhattan Fishmarket there. 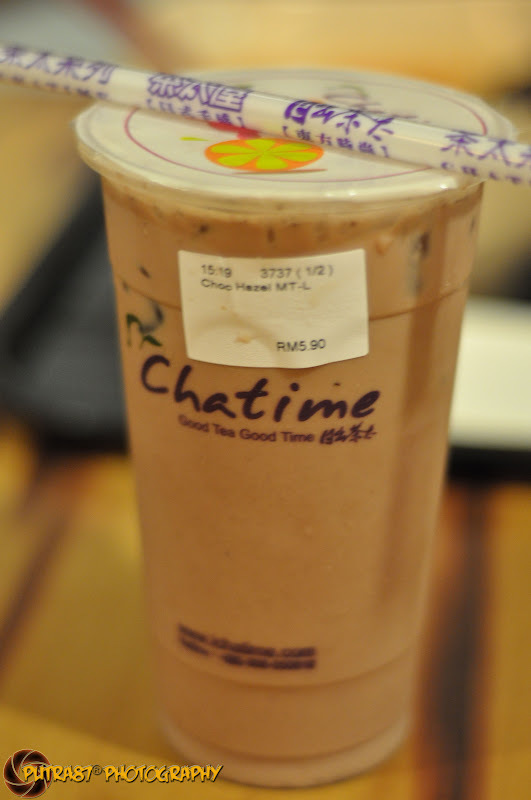 I was quite shock and seeing a Chatime kiosk, I quickly grab one. Milk tea was so not my taste! I can't even finish it. Actually, I salah order. I want hazelnut chocolate one. Minus the milk tea. That one is soooooooooooo good! Then, on the way back we thought we would take a bus. 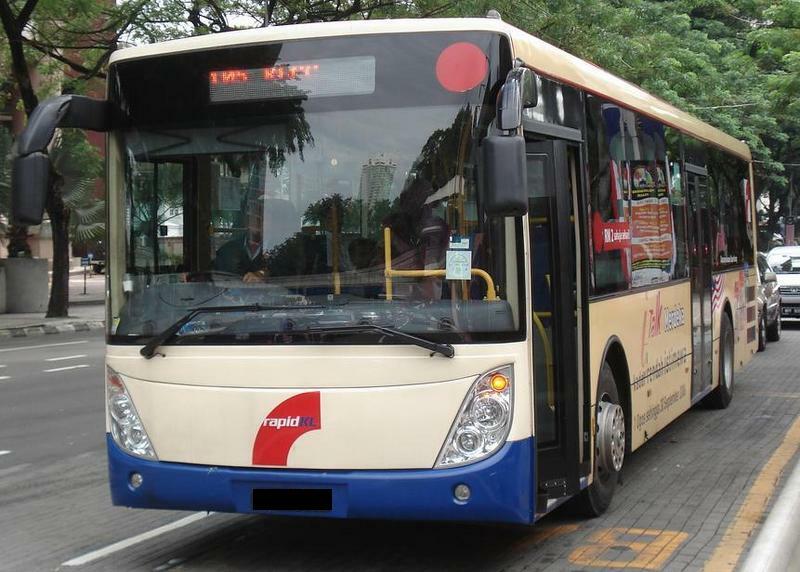 There is this bus having Chow Kit sign on it. Just to be sure we even asked the driver and he say yes that the bus was heading to Chow Kit. So he say it is! The bus actually have passed Chow Kit and was heading to his last stop. All the way to Selayang! Me and Amirah being rather blurred we just keep quite and was thinking that he may eventually go to Chow Kit. But he is not. At the last stop he say that we would need to take other bus since he has finished his duty. Waiting for the next bus, we went for solat first and actually missed the bus. Being like ok whatever, we went into this computer appliances shop and ended up buying a headphone set. You can see how laid back we are at that time. To be fair, it was really cheap! I even wanted to buy a wireless mouse since it was only RM25 but I was holding back cause at UKM was having Karnival 1 Malaysia. I thought it would be cheaper there. We have checked the headphone set price, it is totally was cheaper here in Selayang. So, while testing and paying and blablabla. We missed another bus, the abang working at that shop was like you should really try to stop the bus. Well, whatever-lah. Haha. I think we are crazily too laid back at that time. 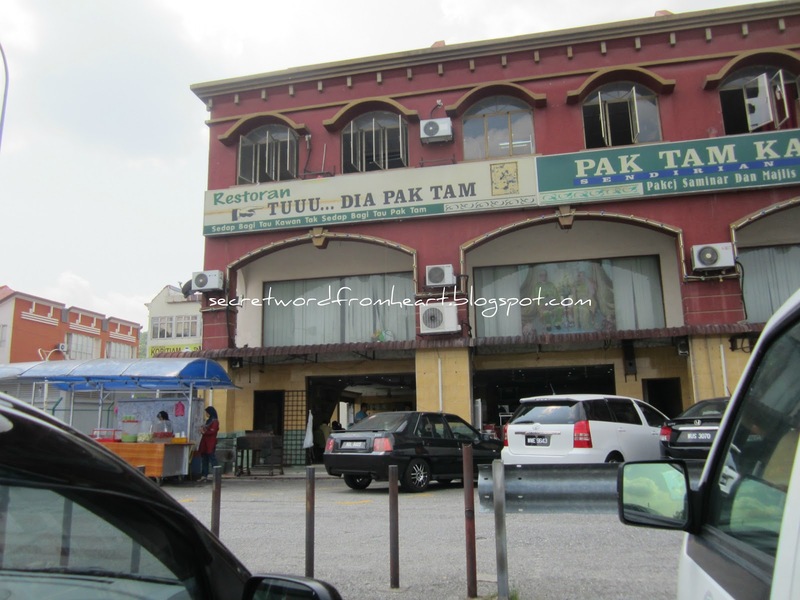 Then, in waiting for the next bus, I was promoting this Pak Tam restaurant to Amirah saying that their Mee Rebus is delicious. There is Pak Tam restaurant near there actually. Amirah was fasting and was keen on having something delicious for iftar. So we went there and then grab ourselves bihun sup. Wasn't bad at all. It cost RM5 and they gives you plenty of soup and the garnishing was quite a lot as well. The oranges were too sour and i didnt finish it untill today. The wireless mouse at Karnival 1 Malaysia was wayyyyyy expensive that if i went back to selayang , buy the wireless mouse and back to Chow Kit it would still be cheaper. Well. you can't always get what you want right? The lessons is, we should take action as soon as we know we are in the wrong path. And accept everything full heartedly, Allah have meant it too happen for a reason/s. afifah, tergelak saya baca post ni....teringat balik kisah sesat kat selayang. btw, i went to selayang for only RM 1 because of the misunderstood. tak sabar nk tggu post awk ke manila.